1849 square feet (172 Square Meter) (205 Square Yards) 4 bedroom house plan in contemporary style. Design provided by 361° Architects, from Ernakulam, Kerala. Ground floor : 1129 Sq.Ft. Total area : 1849 Sq.Ft. 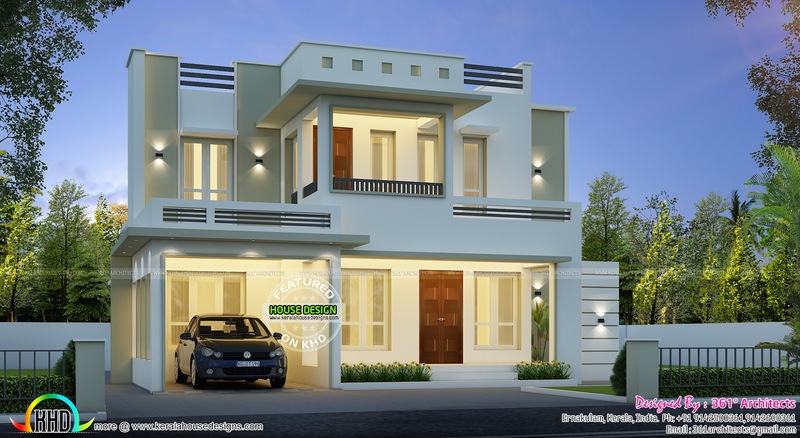 2 comments on "Awesome, 28 lakhs house "
Great Design .... Hi Addy have you got anything yet?